Googling Cuba: Is The Communist Island Ready To Join The World Wide Web? Cuban sculptor Kcho (left) and Google's Brett Perlmutter at last week's opening of Google's tech center at Kcho's Havana studio. 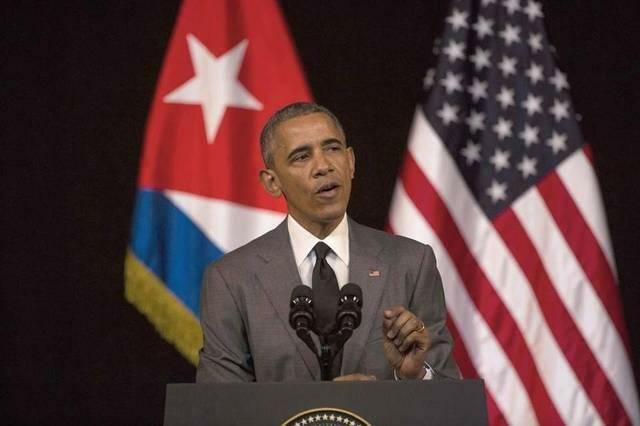 HAVANA - In his historic speech from Havana last week, President Obama called for a number of changes in Cuba. More human rights. More economic reform. Only 5 percent of the island’s 11 million people have full household access to the Web. That’s one of the lowest –and slowest – Internet coverage rates in the world. To understand how frustrating this is for ordinary Cubans, go to any of the 50 or so wi-fi hotspots set up around the country. You’ll find millennials like 19-year-old medical student Juan Miguel Martínez, who’s trying to get online with his new iPad at a hotspot on a street in Havana’s Playa district. While waiting, he says, he thinks about using the Internet to enhance his future as a surgeon. Sitting next to Martínez is his 20-year-old brother Carlos. As an aspiring filmmaker, he’s even more dependent on the Internet – but right now he’s just staring at an unresponsive smartphone a relative brought him from the U.S. This is a daily ritual for Cubans today – as their communist government decides how much of this powerful information tool they can have. It's also expensive: At most wi-fi hotspots it costs $2 an hour to get online – and most Cubans earn about $20 a month. 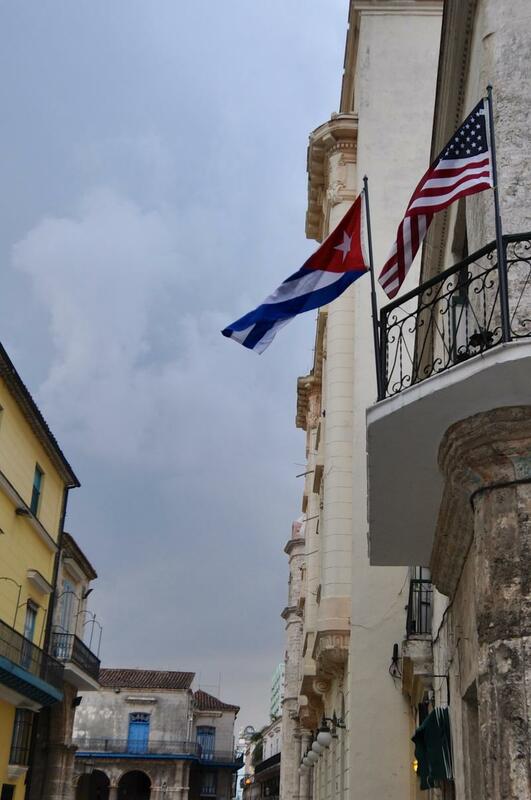 But during his visit last week, Obama raised their hopes when he announced that Google – the U.S. online search engine giant – was coming to Cuba. Or at least a small corner of it. Last Tuesday, Google opened an advanced online tech center for Cubans in Havana at the studio of the artist Alexis Leiva – who’s known as “Kcho” (pronounced KAH-choh). Kcho’s studio is already a wi-fi hotspot, and he lets Cubans get online for free. Now Google will connect them there at 70 megabytes per second – 70 times faster than what Cubans usually get. Cubans at a wi-fi hotspot in Havana. The sign above them says, "With Internet I Can." “This is Google's first manifestation here,” Brett Perlmutter, Google’s head of operations for Cuba, said in Spanish to a crowd at the center’s inauguration. The government has pledged to bring half of Cuba’s households online by 2020. Like a lot of U.S. tech firms, Google has been trying to strike deals with Cuban officials to be part of that push. So the big question now is whether this first step means Cuba’s digital revolution is finally coming. 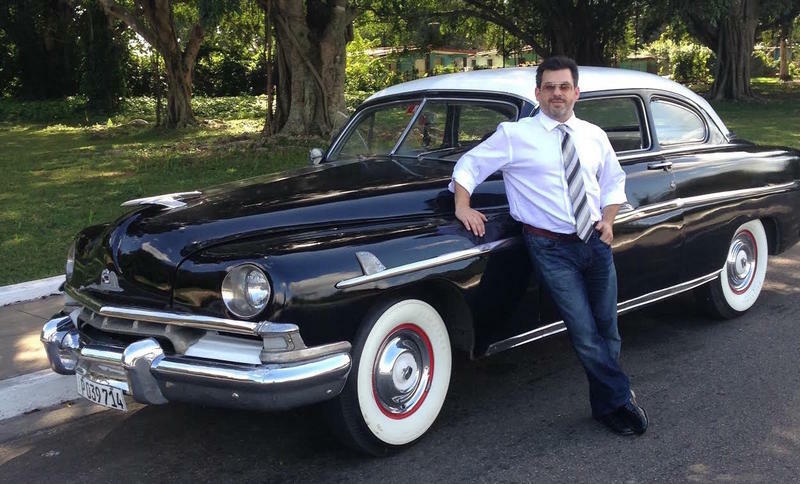 Hiram Centelles, the Cuban-born co-founder of Internet sites like Revolico, the Cuban Craigslist, thinks it’s a good sign. “I think the Cuban government must be open to this kind of initiative,” Centelles told WLRN at the Kcho studio. Centelles, who now splits his time between Cuba and Spain, says one thing firms like Google will have to look out for are any content restrictions the government will want to impose on the Internet. Miami tech investment guru and Cuban exile Manny Medina attended the event as well. He says the sooner Cuba gets online the faster South Florida can start benefiting from the island’s ample young tech talent. Cuban medical student Juan Miguel Martinez waits...and waits to get connected on his smartphone. “I think this is going to be phenomenal for Miami because we’re going to be the ones going back and forth,” says Medina, who heads Medina Capital. “So I think if this was totally open, there will be a really huge amount of work" for techies on both sides of the Florida Straits. And young Cubans like Carlos Martínez would like a piece of that action. Or at least a more connected people. Cubans sitting along a Havana street near a wi-fi hotspot. Some people visit Cuba to drink up rum mojitos. Peter Zimble goes there to dream up web services.